Senator Martin went in looking good. Her navy suit breathed power. She had put some starch on Gossage too. Dr. Lecter sat alone in the middle of the room, in a stout oak armchair bolted to the floor. A blanket covered his straitjacket and leg restraints and concealed the fact that he was chained to the chair. But he still wore the hockey mask the kept him from biting. Why? the Senator wondered. The idea had been to permit Dr. Lecter some dignity in an office setting. Senator Martin gave Chilton a look and turned to Gossage for papers. Chilton went behind Dr. Lecter and, with a glance at the camera, undid the straps and removed the mask with a flourish. Seeing what Dr. Chilton had done for showmanship frightened Senator Martin as much as anything that had happened since her daughter disappeared. Any confidence she might have had in Chilton’s judgment was replaced with the cold fear that he was a fool. She’d have to wing it. A lock of Dr. Lecter’s hair fell between his maroon eyes. He was as pale as the mask. Senator Martin and Hannibal Lecter considered each other: one extremely bright, the other not measurable by any means known to man. Who hasn’t had a fool in their lives? In their desperate search for validation, these characters will command all they can, which on occasion will include our presence. But never mind the fool: in and of himself he is inconsequential. Sure they meddle and complicate things, and make no mistake, they can be destructive, but chaos is order ineffable: in facilitating encounters of all sorts they act as the catalyst for change. Much can be gained from being drawn from time to time to places where rules—particularly ours—are being broken. There, a great experiment is carried out both on our behalf and in spite of our efforts to stop it. The mistake most often made when wandering into a fool’s reach is attempting to draw conclusions from the experience before it’s time. 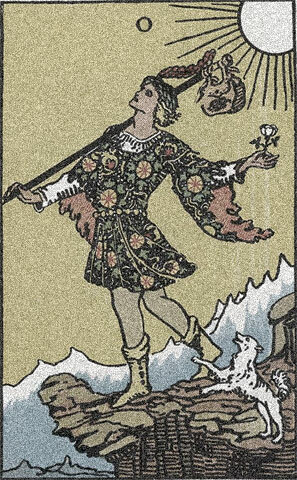 As for the fool himself, not much can be said other than everyone’s fares to the chaos are charged on his account. In The Silence of the Lambs, Thomas Harris does us a sinister, yet amusing service, delivered perhaps more satisfyingly by the film than the novel. Chilton’s ultimate fate is our guilt and pleasure, leaning to the latter as it hints at a tantalizing possibility: a particular life form may experience a great deal of injustice during its existence, but the universe, in the end, balances itself out quite nicely. This entry was posted	on Monday, February 15th, 2010 at 2:28 AM	and is filed under Impressions, Journal Entry, Writing and Poetry. You can follow any responses to this entry through the RSS 2.0 feed. You can leave a response, or trackback from your own site. Powered by WordPress v 4.9.10. Page in 1.298 seconds.